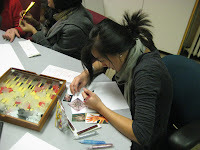 On Wednesday November 18 2009, AALEAD Girls Program organized a workshop on Henna tattoo. 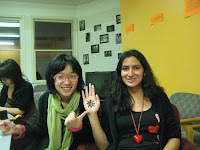 The students learnt some interesting facts about henna and how it is used in different cultures. They also watched a video on how it’s very traditional and being done in South Asian region especially in Pakistan. They were very excited about using henna by themselves so they developed some designs and patterns on the paper, and later put it on their hands. "We learnt that henna is used in a lot of cultures in particular South Asia, Middle East, and Northern Africa. Henna can be used on the hands, feet, and also as a hair dye. Henna is derived from a plant. 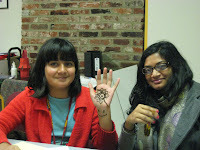 Looking and designing henna yesterday was so fun everyone got into it including the boys and staff members. 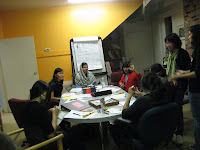 We hope to have another henna workshop in the future with more girls. “By the students. The modern style statement covers henna flower tattoo in different colors and designs on various body-parts, including hands, arms, wrists, shoulders, upper back portions, and different other selected areas.